Home > news posts > MPA new web site ! MPA new web site ! Campsite in Aude, a new website? Will better inform our customers about our wealth Languedoc Roussillon, in particular the department of Aude and the center of which is your 3 star campsite, camp the new website’s Le moulin du Pont d’Alies (MPA) is online. The objective is to improve our home to help you prepare for your stay upstream , giving you the most essential for the success of your stay in Cathar Country Axat practical information. Why choosing campsite Le Moulin du Pont Aliès for your holidays? Near the wine route south including the near Limoux, you certainly heard about the stew of the same name or with Rivesaltes Muscat is renowned. At the foot of the eastern Pyrenees , you have access to many activities such as hiking or mountain climbing. You will have the opportunity to discover the gorges, parades, trays and the vast forests of the Languedoc. A new tourist office in the department of Aude ? It does not identify all possible to make tourism activities, we are not a travel agency , but simply focus on those that are a favorite for us , valuing those we know Home and managerial quality. We have focused on activities that you can practice anywhere else and are the uniqueness of our beautiful Aude region. 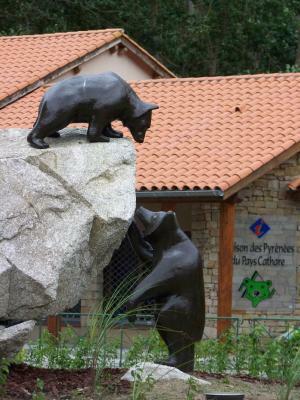 To access all the tourist information about the Country of Axat and more generally of the Eastern Pyrenees and Languedoc Roussillon campsite is located right next to the house of the Pyrenees Cathar Country .